Common Assignment & Research Questions: How do I find Articles about my topic? 1. 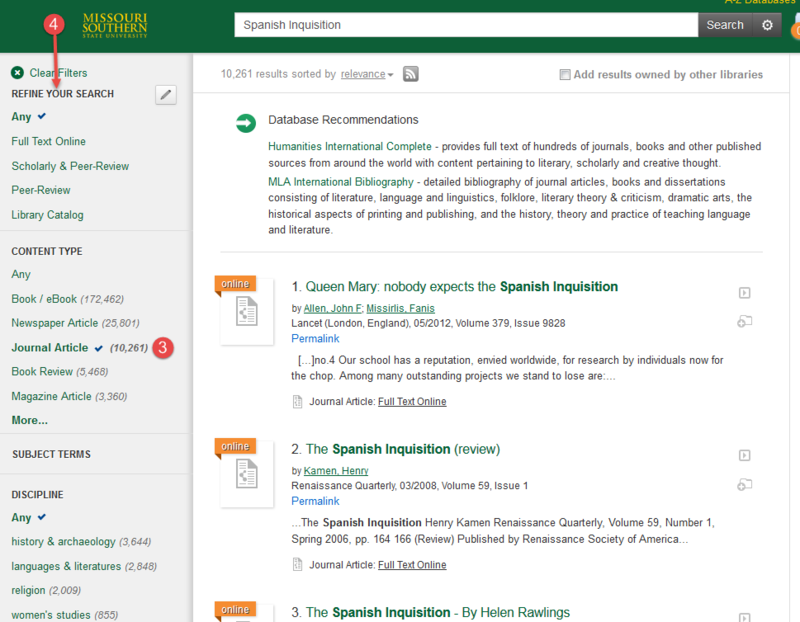 On the library homepage (http://www.mssu.edu/library/) enter your topic keywords (Spanish Inquisition) and click the Search button. 3. On the results page click on, 'Journal Article' under CONTENT TYPE filter on the left side of the page. 4. You can further refine your search results by selecting additional facets on the left. To access electronic resources (full-text articles, eBooks) from off-campus you must be an MSSU student, faculty or staff member with a username and PIN. From off-campus, you will see the login page below before you are able to view the full-text. 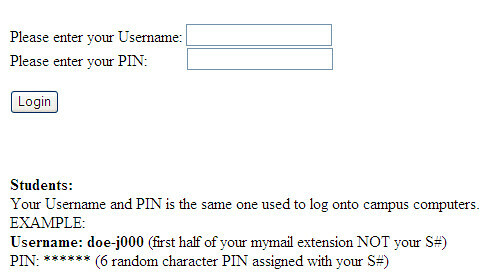 Enter your username (first half of your email extension) and PIN for full-text access from off-campus. If you are using the correct log on and still have problems accessing the article databases, please try clearing any cookies on your computer.